Samsung is said to have four new tablets in the works for the beginning of next year, and now we may know exactly what they are. The Korean company will release the Galaxy Tab Pro 8.4, Galaxy Tab Pro 10.1, Galaxy Note Pro 12.2, and Galaxy Tab 3 Lite before March next year, SamMobile has reported. The site spoke to an "insider" who spilled the beans on the new Samsung slates. That source even divulged some specific release details right down to the week. 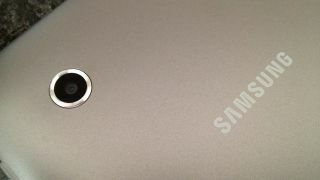 The Galaxy Tab 3 Lite will allegedly be the first to drop, arriving in the second week of 2014 with a 7-inch display and a "cream white" color. The site said it will cost around €100 (about $136/£83/AU$153). Previous reports also pegged it with a 1.2GHz dual-core processor and Android 4.2 Jelly Bean. Following the Tab 3 Lite will be the Galaxy Tab Pro 8.4 and Galaxy Note Pro 12.2 around the middle of February. The Galaxy Tab Pro 10.1 will reportedly arrive just a week after that. The three Pro tablets are said to come in black or white. While the two Tab Pros will pack 16GB of storage, the Galaxy Note Pro 12.2 will have twice that at 32GB. The trio of Pro slates will supposedly come in Wi-Fi and LTE models, while the budget-priced Galaxy Tab 3 Lite will only have 3G support. Other reports previously claimed the Note Pro comes with a resolution of 2560 x 1600, a quad-core Snapdragon 800 processor, 3GB of memory, a 9,500mAh battery and Android 4.4 KitKat. The Tab Pro tablets are more or less unknown to us, but there's a distinct possibility we'll learn more soon. We're expecting to see some of these new Samsung tablets at CES 2014!